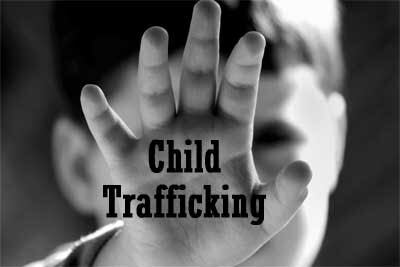 Kolkata: Several senior doctors and nursing homes in various districts of West Bengal were under the scanner of CID probing into the child trafficking racket unearthed from North 24 Parganas districts Baduria. According to a highly-placed CID official, teams of sleuths have been sent to these places and search operations were on for those involved in the racket. “During grilling of those arrested, we have got information about places from where newborn babies were trafficked. There are several doctors involved in this trade. We have sent teams to various districts in search of the culprits,” the officer said. Meanwhile, doctors at ESI Joka, where 10 babies were rescued from an old age home at Thakurpukur were undergoing treatment, said that “health conditions” of the babies were not sound because of “negligent treatment” they had been meted out at the hideout. Most of the babies were suffering from malnutrition and skin diseases while one was Thalassemic and two were “extremely weak”. “These babies have been deprived of mothers milk which a baby requires for the first six months. Not only this, the babies have not been given proper vaccination mandatory for babies at this stage leading to their health problems… we are taking proper care of them,” a senior doctor of the ESI said. The CID also exhumed bodies of two infants from the campus of an NGO, besides seizing foreign currency from an accused in the case. In total, 16 persons including one doctor have been arrested in this connection by the CID. The arrested have been booked under IPC Sections 369 (kidnapping or abducting child under ten years), 370 (buying or disposing of any person as a slave) and 34 (acts done by several persons in furtherance of common intention).